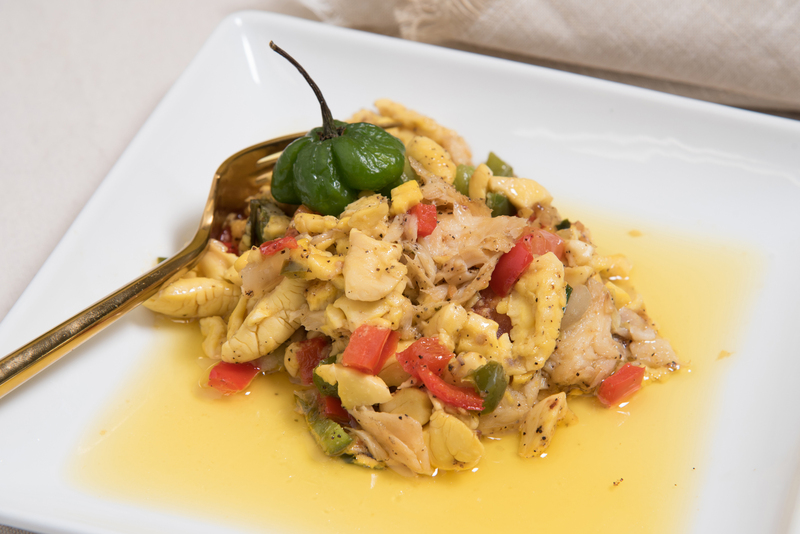 Ackee & Saltfish The national dish of Jamaica. 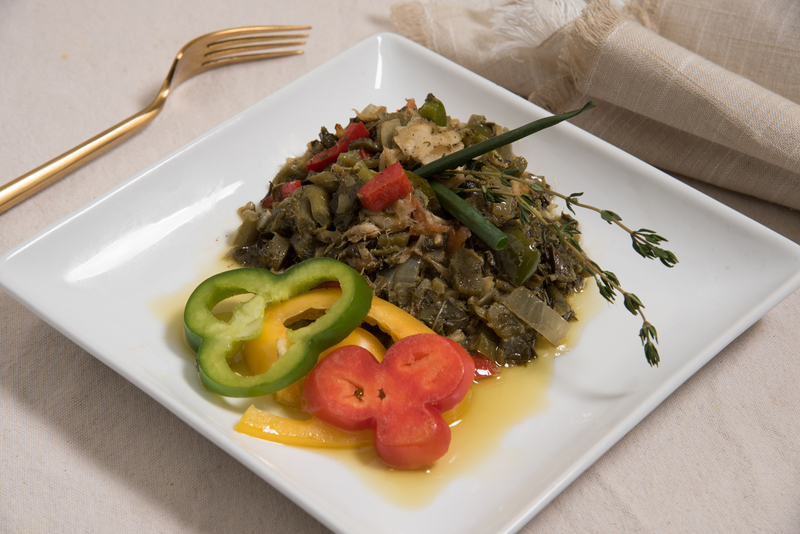 Made with ackee and cod fish "saltfish". Served with yellow yam, green banana, dumplings and ripe plantain.